I woke up today happy and so full of inspiration. 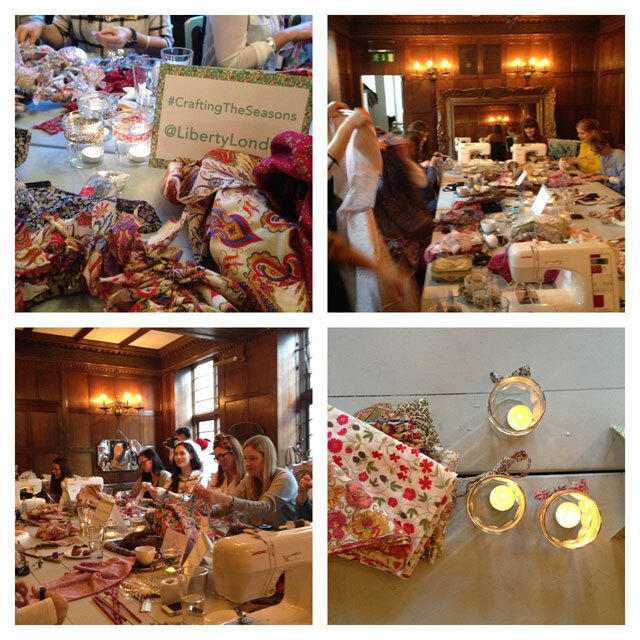 Yesterday Katy and I hosted a Styling The Seasons event at Liberty. We spent the afternoon in the company of some very talented crafty ladies; drinking tea, chatting and doing a little festive making, it all felt like a dream. Here's a sneaky peek at what we got up to - I can't wait to share the official photo's, especially as the awesome Katharine Peachey was our photographer for the afternoon and what we made of course! Thanks to Katy for being such an amazing co-host, Liberty for the room, fabric and tea, Kate from The Homemakery for the goodies and Katharine for the photo's. This looks like such a fun event. I can't wait to see all of the photos and what everyone made!